When choosing roofing options, homeowners should consider metal roofing. But why? Is it the durability and sustainability of metal roofing that attracts savvy homeowners? Is it a relatively simple metal roof installation? What makes metal roofing such an attractive option? And what are some of the challenges of choosing metal for your home? Perhaps the number one reason that homeowners choose metal roofing is its long-lasting proven durability. Expect over a half-century to pass before you need to replace a metal roof. These roofs are fire resistant, have maximum wind resistance, and preserve their overall structural integrity. Yes, the ease of metal roof installation is a great reason to choose this type of roof, but imagine never having to purchase another roof again in your lifetime. That is a reality for happy homeowners who opt for metal roofing. Metal roofs are energy efficient. Their unique insulation maintains the temperature in your home. This means that you will save in overall energy costs in your home. Additionally, most metal roofs and shingles are made of recyclable materials. They can also be recycled. Easy metal roof installation over older roofing means that you can save substantially in costs and materials. What are some of the realistic drawbacks of metal roofing? While most roofing will be able to withstand extreme weather conditions, strong hail could cause dents in the roof that would need to be repaired. If you opt for shingles, this might be as simple as replacing the damaged shingles. The sun can cause paint to fade. Be sure to ask for a special coating that will protect your roof from UV rays. Enjoy hundreds of design options, colors, and shingle types. Speak with a metal roofing professional about the many options available. They will help you find the perfect aesthetic that matches your unique style and taste. Choose from different shingle styles and various metals. Enjoy the beauty of quality metal roofing for decades to come. 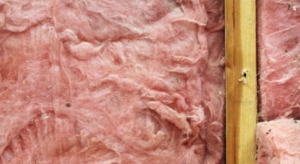 Choosing the right insulation for your home is an important decision for any homeowner or business owner. Should you choose fiberglass batts and blankets, metal panels, eco-friendly options, cotton wall insulation, spray foam, or any other of over dozens of different options? What are the benefits of each particular type? One of the wall insulation and roofing options that are gaining popularity for their sustainability and durability are metal panels. These are lightweight modular products. They are an excellent option for both walls and for roofing. They can provide much-needed weatherproofing, protection from the elements, and extra insulation. Metal panels come in a wide variety of materials for both walls and roofs. A metal roof can last for decades. Metal is ideal for any type of structure, from homes to commercial buildings. It is especially effective for buildings that might need temperature controlled environments like research facilities, manufacturing plants, and food processing. Extra layers are added for extra insulation. Metal is also attractive affordable options for homes. Architectural buildings also benefit from the wide array of colors, metals, and customizability of metal. Spray foams have a relatively high R-value, providing a needed air barrier. Open-Cell Polyurethane Spray Foam does allow some water to pass through. These require professional installation for roofing, walls, floors, and large projects. This is a good do-it-yourself option for small jobs. However, be aware that the foam releases dangerous chemicals and VOCs that will be harmful to anyone with asthma and other health conditions. Speak with a professional about any concerns during installation. The usual recommendation is three or four days before entering the home again. Homeowners can purchase batts and blankets from a variety of materials at the local hardware retailer for insulation. These are often sold in large roles. Rockwool and cotton don’t itch as much as fiberglass. Most kinds include carcinogens and chemicals. Be sure to wear the correct protective gear when installing insulation yourself. Speak with a professional today about the best products to use for your home. 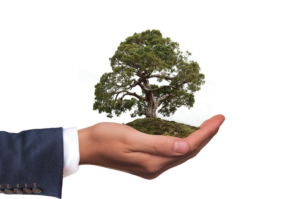 Looking at sustainability benefits when constructing a home is increasingly becoming popular with today’s discerning homeowner. Some roof design, like metal roofing, are more sustainable than other forms of roofing like asphalt or wood. Why is the future of roofing rooted in long-term sustainability and eco-friendly options? And what are some popular roofing options for eco-conscious homeowners? Let’s find out. Consumers have made their charge. They want to build affordable homes that are eco-friendly and sustainable. They want to renovate older homes in new ways that are good for both their pocketbooks and the planet. Because of this, several new roof design options like metal roofing have grown in popularity. There are several reasons why this type of roofing is eco-friendly – it has significant energy saving costs and minimal upkeep with impressive longevity. Metal roofs are often made of recyclable materials and can be recycled. Homeowners are not just looking at aesthetics when they choose a roof. They are looking for long-term benefits like energy efficiency. A metal roof can save owners up to forty percent in energy costs. With higher solar reflectivity and emissivity, the “cool” metal roof reduces heat in the home. Impressively, pre-painted metal keeps nearly 100 percent of its reflexivity, especially when painted with a color like white or light-colored metal. This is much better than any asphalt roof. 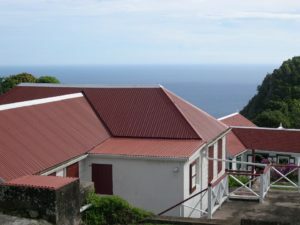 The biggest benefit to sustainable roofing options like the metal roof is longevity. Because the metal roof is so durable, often it will last for decades without replacement. It has a much longer service life than options like asphalt roofs that must be replaced every fifteen years. Proper maintenance can prevent damage to the roof, although metal roofing withstands extreme weather conditions very well. As the public continues to increase the demand for eco-friendly homes, sustainable roofing will continue to play a very important role. Over time, most roofs will need to be replaced. Whether you opt for a metal roof or other roofing options, every homeowner needs to know the basics of replacing a roof. When determining the roof replacement cost of your home, it is important to consider several factors. Each factor places an important role in the end costs of construction. A quality roof installed by a professional contractor will add value and security to your home, as well as basic curbside appeal. Homeowners planning to sell their homes in the near future often find that an upgraded roof is one of the first factors that potential buyers look at when purchasing a home. While there are many factors determining the roof replacement cost, the biggest factor is the overall size of the roof. Pitch and accessibility also play a role, but roofers charge per square. Expect to pay thousands of dollars for any major roof replacement. Some roofing types can be installed over an older roof. And sometimes a homeowner only needs to replace part of the roof or only one roof (the garage roof might not need immediate replacement, for example). Asphalt roofing is often considered the least expensive roofing option. Other affordable options include metal and tile roofs. Slate roofs can be considerably more expensive than metal or asphalt roofs. Sometimes additional water damage is discovered during construction. This can add to the overall cost of the roof replacement because it adds to overall labor costs. Remember that labor is often one of the biggest costs of any construction project, especially if you have a large team working on your site. Be sure to speak with your contractor about how they handle additional damage and labor costs. Other factors that can add to the cost are chimneys and skylights. Speak with a seasoned professional about the costs of your upcoming roof replacement. Consider a standing seam metal roof as an energy efficient and attractive option for your home. In the past only traditional roofing materials like cedar shingles or asphalt were available. Now recycled metal roofing is a viable option for many homeowners. It is a durable and long-lasting roof that can last for as long as half a century. 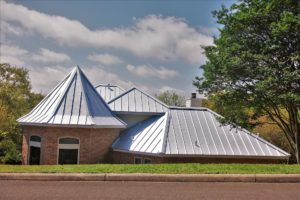 While there are many options for metal roofing, the standing seam design remains very popular in both commercial and residential construction. Unlike shingles, the standing seam metal roof has the seams higher than a traditional roof. It is above the level of the roofing. Seams are the weakest place on any roof. Having it higher, instead of being flush-mounted, is a saver option. This gives the type of roof its name – standing. This reduces damage and deterioration due to moisture over the life of the roof. Additionally, there are fewer seams. Homeowners can select almost any color for their roofs. There are several key components in a standing seam. Hidden seam fasteners connect the panels. Steel or aluminum panels make up the main part of the roof. Pre-formed panels are manufactured in a factory. Those that are considered “site-formed” are made from rolls of metal. The contractors will run the rolls through forming machines. The job of these machines is to essentially cut the individual metal panels that will make up the roof. Unlike asphalt roofing, metal roofing is a very durable and long-lasting material. It is energy-efficient and can handle the elements. However, watch for dents caused by inclement weather like hailstorms. Metal roofing also protects against fire in many instances. While a metal roof does cost more than traditional asphalt roofing, there are many benefits including long-lasting durability and additional safety from fire. Consider the costs of regular repairs and maintenance for asphalt roofing versus the minimal maintenance costs of metal roofing. Enjoy the benefits of having a metal roof for decades to come. Is an Eco-Tile Roof Right for You? When considering long-term options for your business or home, consider the benefits of Eco-Tile metal roofing. This popular industry solution has a number of distinct benefits over traditional roofing options that can save you time, maintenance, and costs over the course of the buildings lifetime. Eco-Tile roofing can be installed relatively quickly. This metal roofing solution is a modular sheet. This innovation means that you save money in installation costs and labor. The quick assembly also means less time for human error, ensuring that you will have the highest quality roof for decades to come. Assembly is simple and cost-effective. In fact, Eco-Tiles are ideal for the experienced do-it-yourself homeowner. Additionally, homeowners do not have to worry about the costs and labor associated with removing the older damaged roofing. Instead, you can fit the Eco-Tiles directly on the older tiles. Save on labor costs significantly. Besides being an overall cost-saving and time-saving roofing solution, Eco-Tiles can provide a lightweight option to maintain steady temperatures through sweltering summers and freezing winters. Add extra insulation for rooms that are more susceptible to extreme changes in weather. These tiles can last for almost half a century. While at the outset they may cost more than a traditional asphalt roof, building owners do not need to worry about replacing the roof several times over the course of their lifetime. Building owners do not need to worry about inclement weather and extreme weather conditions. However, there are some minor issues with dents that may occur during extreme hail storms. Speak with your contractor about purchasing thicker materials to prevent dents and natural wrinkling. This may be the only roof you will need to purchase during your entire life. Metal roofing is available in a wide variety of colors and styles. A wide variety of colors from red and browns to dark greens and even charcoal can be customized for every building owner’s unique tastes. Speak with your contractor about options for windows and other custom structures. Enjoy the versatility, durability, and beauty of Eco-Tile roofing. It is the ideal roofing solution for any commercial or residential building. Thinking about metal roof installation for your home or business? What are the costs? Can you avoid the waste and cost of removing your old asphalt shingle roof? 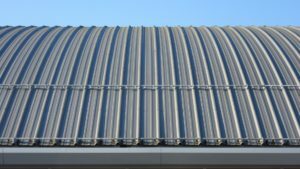 Should you hire professional constrictors or try to install the metal roofing on your own? Let’s consider some of the key benefits and challenges of installing a metal roof. Perhaps one of the more appealing benefits of metal roof installation is that it is possible to install a new steel roof over a shingle roof. As long as you keep to the building codes in your area, it is possible to avoid tearing off the old roof. Metal roofing is a lightweight, durable option that does not add additional weight to the structure of the home. Because of this, layering the new metal roof over old shingles can save you money and hassle. Additionally, installing over the shingle roof will reduce the noise that is often associated with steel roofing. Before installing, be sure to contact the local building department to review code requirements in your area. Asphalt shingles require replacement every ten to twenty years. However, metal roofing can last a lifetime, up to seventy years. The roof is often guaranteed for thirty to fifty years, depending on the warranty. The steel shingle system is often preferred over the standing seam roof because it mimics more stylish traditional roofing styles. The metal roof may be installed over a framework of 2x2s, ensuring further durability, especially in extreme weather. Some homeowners choose the do-it-yourself route to reduce the cost of installing a metal roof. Companies can provide kits for installing steel roofs. These kits often do not have the same insulation and ventilation options as a professionally installed roof. Additionally, installing a roof does require a significant bit of handyman knowledge that might be difficult for the novice. Be sure to contact a professional installation contractor to find out the pros and cons of DIY installation. Metal roofing will provide your home with a lifetime of security and insulation. Eco-friendly and durable, you will enjoy your metal roof for decades to come. Are you considering metal roofing for your house or business? Is it time to repairan older roof or are you looking for new eco-friendly materials to save you money? Consider metal roofing pros and cons when searching for new roofing options. Metal roofing is becoming increasingly popular throughout the country, replacing more traditional options like asphalt shingles. Low maintenance, visually attractive, and very efficient, metal roofing is the perfect fit for you. Environmentally friendly homeowners and business owners are finding that metal roofing options are a great low maintenance solution instead of petroleum-based products like asphalt shingles. Metal roofs are sustainable. In fact, when considering the metal roofing pros and cons, homeowners will be happy to find out that metal roofs are comprised of recyclable materials. Not only that, the metal can be recycled. Steel roofing, in particular, maintains his strength and durability after recycling. They are also energy efficient, saving significantly on heating and cooling costs. Interested in solar panels? Metal roofs make solar panel installation easy. Additionally, homeowners that want to harvest rainwater find that the design of metal roof makes collecting water easy. The lightweight construction is ideal for the eco-conscious homeowner. In fact, metal roofing can be installed over shingles, saving the cost and waste of removing an old roof. Metal roofing installation costs can be very high, especially when compared with traditional asphalt shingle roofing. Added insulation and specialty shingles to minimize noise indoors or dents due to extreme weather also adds to the cost. 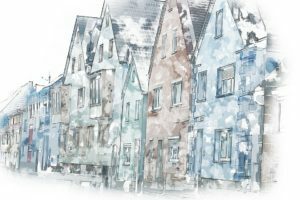 Consider the cost of replacing asphalt shingles several times over the course of the home’s lifetime versus the cost of a single metal roof for decades. Depending on your specific situation, the initial high cost may be worth it for a lifetime of secure low maintenance roofing. Unlike asphalt shingles that have a lifespan of ten to twenty years, a well-maintained metal roof can last decades, up to seventy years. Rust-proof coatings ensure that rust and corrosion do not affect the metal. Extreme weather like heavy snow and ice do not affect metal roofing, although denting can be a possibility. A metal roof is a durable, stylish option that will withstand the elements over time, providing security for homeowners and business owners alike. What types of metal roofing residential options are available for the average homeowner? 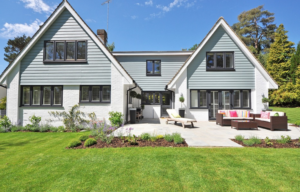 Sure they are both economically and eco-friendly, requiring less maintenance and absorbing energy costs, but what styles are best for your home? There are a variety of types from aluminum to galvalume steel or even copper. Each has unique characteristics that make them the best choice for your residence. Aluminum roofing is a long-term durable and lightweight option for your home. It doesn’t rust. This makes it ideal for home on the coast. Because of new prepainted types of metal roofing residential choices, you can customize your roof to match the style and architecture of your home. Needless to say, this eco-friendly roof is usually made out of over ninety percent recycled material. That is the amount of aluminum found in over one thousand soda cans. You can feel confident that your aluminum roof will be beneficial to both you and the environment. Your galvanized steel roof is made of a base of carbon and iron steel. An additional coating of zinc is added. The coating offers additional protection against harsh weather like snow and ice. If you are looking for lower initial costs, the galvanized steel roofing is often less expensive than the aluminum roofing. The thickness of the zinc coating will help the steel to remain rust-free for a longer period of time. There are a variety of tiles available in galvanized steel, including pre-painted shingles. Unlike aluminum, homes on the coast should not select galvanized steel due to rusting. This is an enduring material, however. The recycled content of galvanized steel is typically around thirty percent. If you want to choose a steel roof for your home, you can opt for galvalume steel, which is coated with a special alloy of zinc and aluminum. This makes it more resistant than galvanized steel roofing, although it is more prone to microcracks over time. This is through a process called “tension bend staining”, and can lead to long-term deterioration if not repaired. The recycled content of galvalume steel is also around thirty percent, though its cost is more than galvanized steel. If you want an exquisite metal roof, copper is a very flashy way to show your style. Copper is typically more of an accent material due to its very high cost. Over time a blue-green patina will result from precipitation. It can take about a decade for this to form on new copper roofs. The patina provides extra protection against weather and salt spray. While some homeowners may protect the flashy finish of the copper roof, most opt to allow it to naturally age, giving it its signature look. Besides copper roofing, some other interesting options include stainless steel, titanium, and rolled zinc. Most of these residential homes are custom designed by an expert architect. Once you choose the right roofing material for your home, you can decide whether to use shingles, tiles, shake, or slate. These give your home a more traditional look will still using eco-friendly metal roofing. These options give your home a textured look that is quite attractive. Another very popular option is the standing seam, which is modern in look. Choose the roofing style that best fits your home. Choosing the roof for your home includes calculating the metal roofing cost. Whether you choose steel, aluminum, copper, or other metal, there are distinct costs associated with each one. Read expert tips when counting up the financial costs of metal roofing for your residence or business. 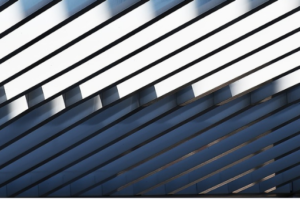 The biggest initial factor in determining the cost of your metal roof, other than how large your building is, will be the type of metal that you choose. Of the main types – aluminum, steel, and copper – copper is the most expensive type of metal roofing. It is quite beautiful. More homeowners will opt to use it only for accents or special architectural elements. Aluminum is more expensive initially than galvanized steel or galvalume steel. The lightweight rust-free metal has a higher cost. But it is almost entirely comprised of recycled metal. When choosing between galvalume steel and galvanized steel, the galvanized steel is lower in cost. Other metal types like titanium and rolled zinc will vary in price point. You will want to speak with your contractor directly if you want to use something other than the more popular aluminum or steel roofing options. This may seem obvious, but knowing the exact amount of roofing that you will need is imperative before calculating your metal roofing cost. Take the time to have an accurate measurement made. You also want to figure in any decisions like using a specific metal like copper for accents or using other types of roofing for the garage or portions of the roof. For customized architectural plans, speak with your architect, engineer, and contractor about what you want. Ask which metal is best for your building. You might find that depending on where you live or how close you are to the coast, that some options may be better than others. Maintaining your metal roof is a hidden cost that many individuals don’t take into account. Why? Well, they might see the initial price tag and want to opt for something that is more affordable at the outset. However, long-term wear and tear on the roof will affect your cost. For example, while galvanized steel may seem a much more economical option than aluminum, it also is more susceptible to rust. If you are building right by the coast or water, it is prone to inclement weather or salt spray. Rust may affect your roof sooner than you expected. Copper is very durable. Sometimes the high price tag puts it out of reach for most homeowners and many business owners. Speak with your contractor before making a final decision. Choosing Shingles or Standing Seam? Another major aspect of calculating the costs of your roof involves whether you are opting for shake, shingles, tile, slate, or standing seam. Options like shingles and tile will give your home a beautiful textured look that is more traditional. Modern contemporary buildings may work best with a standing seam, which has a very distinct look. Metal slate, for example, is about half the price of real slate. Sheet roofing is more economical than standing seam. Residential homeowners who want to purchase standing seam roofing should speak with their contractor to determine end costs. Residential roofs often have more complex architecture than commercial buildings. Work with your designer and contractor to determine which metal roofing option fits best in your budget and provides the most durability long-term.